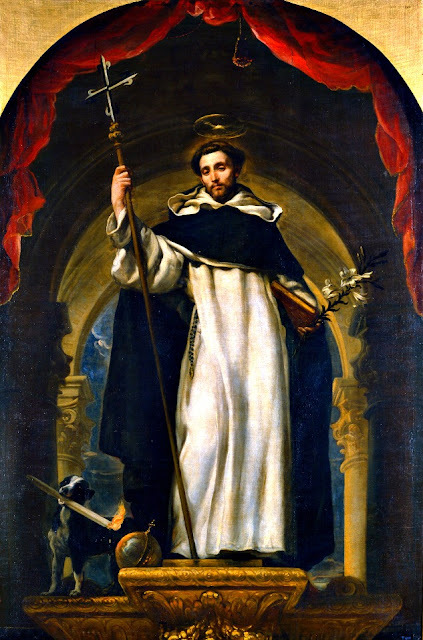 August 8 is a special day for me because not only is it my birthday, but it is also the feast day of one of my favorite saints -- St. Dominic, a Castilian priest and founder of the Dominican Order. 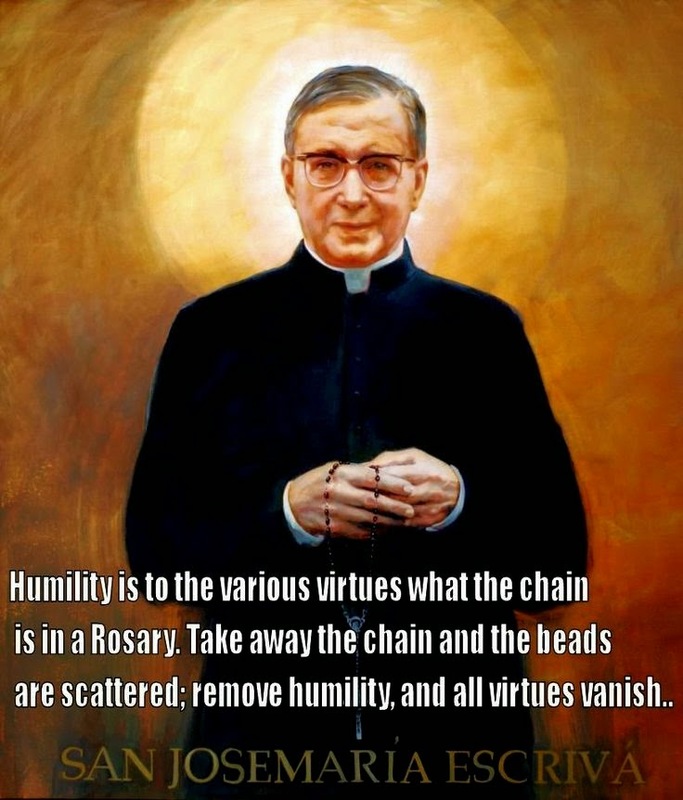 In addition, the founder of my Oblate community, Fr. Marie-Dominique Philippe, is a Dominican. 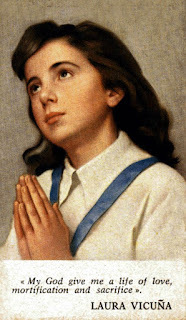 This is a special feast day for the Community of St. John. St. Dominic was a remarkable man – a bold and brilliant priest who is the patron saint of astronomers and scientists. As the saint who preached the mysteries of the Holy Rosary, he converted the Albigensians and set the world on fire with the Truth of the Gospel message. In my day, if I wanted to increase my tennis prowess, I would watch Chris Evert Lloyd’s moves on the court. When my mother cut my hair in the iconic ‘Dorothy Hamill’ pixie, my whole world revolved around the dream of being an Olympic skater. I watched her every skating competition, eager to pick up even the tiniest trick to hone my skills. For the record, my moves were ample for the make-believe Pond Capades but never truly worthy of the hairdo. On the Feast Day of the Nativity of the Blessed Virgin Mary, my patron saint, it occurred to me to wonder how others of the faith relate to their own patron saints. Are they perhaps seen as far-off, above our lowly human state, unreachable other than by solemn prayer and petition to intercede on our behalf? Or perhaps (and, to me, better!) as companions and constant friends, ready and willing to be there for us at any time, for any reason? If I may, I'd like to share with you my own relationship with the Blessed Virgin Mary, my beloved patron saint. It is ever-changing in the most wonderful and helpful of ways. I mentioned that I would be hosting a link up (my first ever) on March 16th in last week's post. Well, your dyslexic blogger got her dates confused and it's up today! 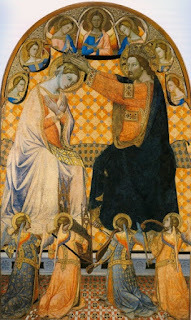 Never fear, if you're not ready to share your Marian consecration reflections, you have until the actual day of consecration (March 25th, The Annunciation) to link up with us. By us, I mean Elizabeth Reardon of Theology is a Verb. Isn't that a great blog title? I've always loved it. This is my third time making consecration and I have used a couple of different books to do it. This year, I went back to my favorite, 33 Days to Morning Glory by Fr. Michael Gaitley. 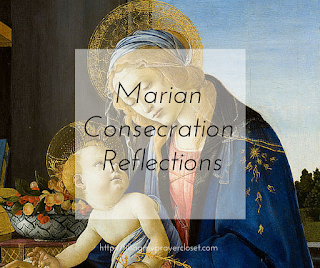 Before we get ahead of ourselves though, what is Marian Consecration anyway? 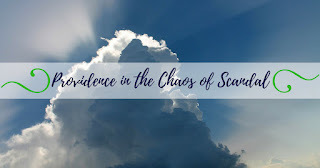 Read more at Filling My Prayer Closet and if you are making consecration now, consider linking up your post! There is no room in the new economy of God for Arrogant Catholics. We are arrogant about our faith with Protestants, and even arrogant among our selves as we have the Latin Mass click who thinks there's is the only Holy Mass. Somehow their Mass is 'better' than any other. Catholics who are arrogant have no clue what it means to truly be a Catholic. The demon LOVES to see these squabbles! The Catholic is for the OTHER, not for themselves, that mean's everyone. There is no Holy Mass greater than another, for it is the same Jesus in the Holy Eucharist, and the same Jesus offered to God. Is the Latin Mass beautiful, yes. Is it awesome to kneel and receive Holy Communion, yes, but these are gifts, we have no "rights" to them. What God wants is for us to say “yes” to him and “no” to everything else. Of the millions of good things available to us, he wants us to have the best. That’s because he loves us so much. He loved us, even while we were yet sinners. Every one of us doubts that we are loved. After all, each one of us knows who “we” are. It surprises us when someone loves us completely and thoroughly. But the Lord is after us to believe it. He wants us to know that he loves us inside and out. We can begin by saying “yes” to believing that we are worthy of God’s love. We can say “yes” to believing deep within our being, that God, our Creator and Savior, loves us. We belong to him. He loves and cherishes us. He wants to protect us with his gift of faith and trust in him. Before we can serve him and love him fully we must first say “yes”’ to letting him love us. "which shall not be taken away from her"
In the past week we’ve celebrated two major Carmelite feasts: Our Lady of Mt. Carmel (July 16) and the prophet Elijah (July 20). These two great saints in different ways exemplify what Carmelite spirituality is about. With zeal have I been zealous for the Lord God of Hosts (1 Kings 19:10). Consumed with zeal for holiness Elijah was not afraid to confront the rulers of his day. He risked death to preach repentance to King Ahab, while Queen Jezebel launched an anti-crusade to wipe out God’s prophets. He challenged the prophets of Baal to a contest on Mt. Carmel to see whose god would consume a sacrifice with fire from Heaven. After winning that contest (surprise! ), Elijah had all the false prophets killed. He led the people to re-commit themselves to the true God. 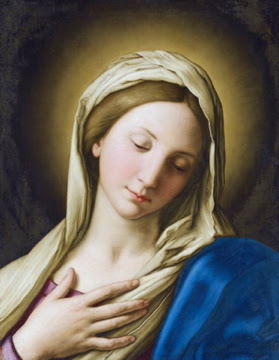 It is a Catholic tradition to acknowledge and honor the unselfish and holy life of the Blessed Virgin Mary. 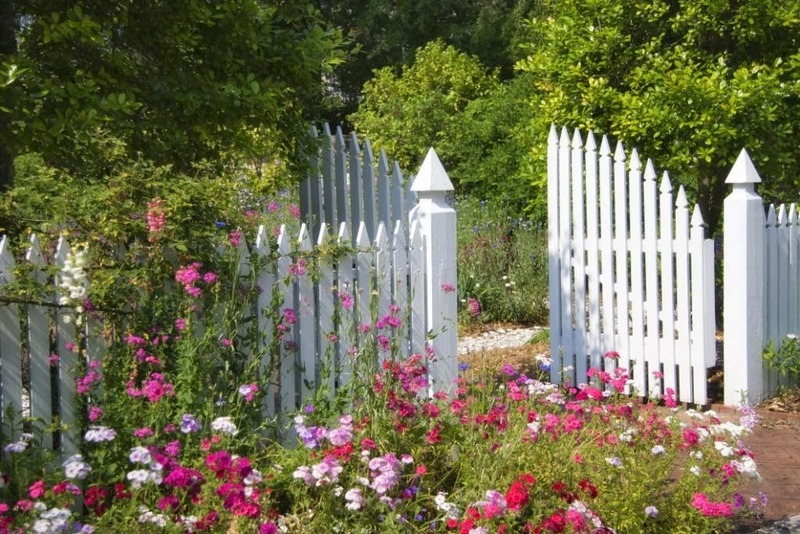 One way of doing that is to plant a Mary Garden. In the Middle Ages, missionaries and travelers spread stories across Europe about flowers named after Mary and various times of her life. Mary Gardens that featured these flowers became popular there, and later the tradition made its way to America. 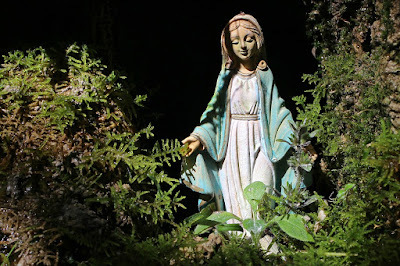 Around 1932 it is believed that the first Mary Garden in the United Stateswas constructed on the grounds of St. Joseph's Church in the Woods on Cape Cod. 'Tis the season for reviewing the old year. How did you advance towards God this year? Do you remember those blog posts that really struck you at the time, or have you forgotten them? Here are some reminders of how you can grow closer to Christ, taken from my blog posts over the past year. If you want to advance towards God, you must learn to love Him. Read what He revealed about Himself. Need more motivation to read Scripture? Here are 10 Reasons Catholics should read the Bible. You’re not going to grow closer to Christ if you aren’t willing to make sacrifices to spend time with Him. Read 7 Ways to make time for prayer. This follows from #s 1 and 2. It’s a particularly Carmelite way of honoring Mary. See Mary pondered all these things–do you? St. Thomas Aquinas told his sister that the way to become a saint is to will it. The Widow’s Mite by Tissot (photo credit: Wikimedia Commons). I was thinking recently about St. Therese and Judgment Day. Therese wanted to stand before God with “empty hands.” As part of her plan to trust in God rather than in her merits, she chose to give away all her spiritual goods. She offered them to God, not for herself, but for others. She left herself spiritually poor and naked. Then she was able to focus, not on her acts of virtue and self-denial, but on the merits of Jesus. She believed that, seeing her with no works on which to be judged, God would apply Jesus’ works to her account. Thus, her confidence was in Jesus alone. I won’t lie; getting permission from Libreria Editrice Vaticana to gather a dozen papal encyclicals together for a unique Marian study was, well, awesome! Holding the contract in hand, gave me goose bumps. To share my excitement, the contract in part reads: Libreria Editrice Vaticana, located in the Vatican City State, in the person of the its Director and pro tempore legal representative, Prof. Don Giuseppe COSTA, sdb and Bezalel Books, A Catholic Publishing Company and Bookstore, Box 300427 Waterford, MI 48330, in the person of its President and pro tempore legal representative, Cheryl DICKOW. 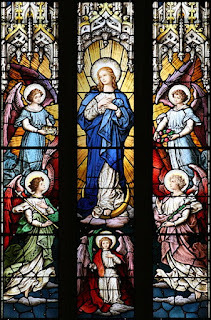 August 15 is the Feast of the Assumption of the Blessed Virgin Mary into Heaven, a Holy Day of Obligation. 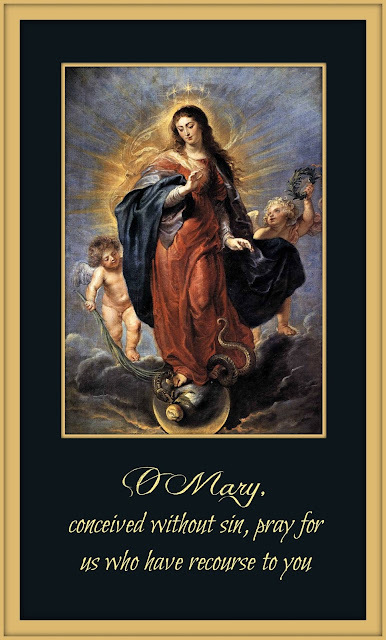 We celebrate the fact that God took Mary bodily into Heaven. But why did the Church make this a feast? Why is it important for your life? Some religious people would maintain that only an active Christian can act lovingly. Yet Pope Francis and even Sacred Scriptures disagree with this narrow view. St. Paul explains that God will judge everyone by much how truth God has revealed to them. If a tribe hidden in a jungle has never heard the gospel, God will judge them based on what they know and St. Paul assures us that all men have the basic laws of God carved into their hearts. 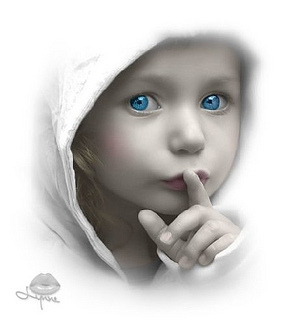 In modern language, we all have an awareness of good and evil or a conscience.